39157 place | Vector illustration in rank M-rank: Light BLUE vector polygonal pattern. Colorful illustration in abstract style with gradient. The textured pattern can be used for background. 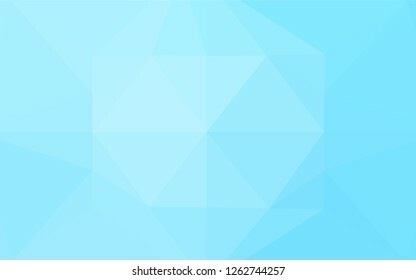 Light BLUE vector polygonal pattern. Colorful illustration in abstract style with gradient. The textured pattern can be used for background.